The temperature sweltered in the high 90s from Thursday until Sunday, with only about 20 minutes of rain all weekend. With the sun beating down, the music blasting from every direction, dirt clinging to every inch of you, sprawls of campsites and RV parks, and the smell of hot mud roasting in the sun along with hundreds of thousands of un-showered festival-goers, it doesn’t take much to become overwhelmed. Every year, in the early weeks of summer, Manchester, Tennessee hosts one of the most exciting summer music festivals one can experience. This year, more than 100 different musical acts performed on five different stages and several other smaller tents and stages. With headliners like Kings of Leon, Dave Matthews Band, Jay-Z, and the legendary Stevie Wonder, it’s not at all hard to understand how the festival easily packed out its 700-acre farm with 750,000 attendees this year. 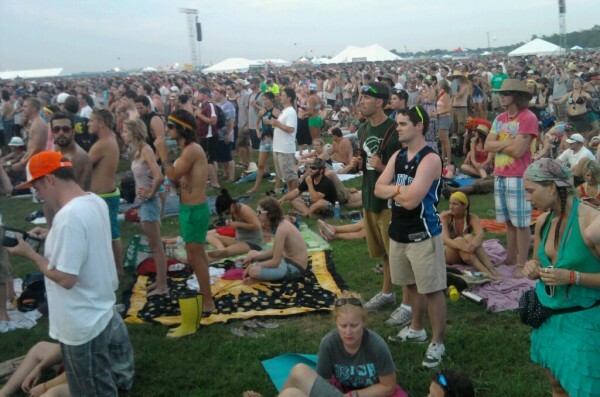 However, the real magic of Bonnaroo (or any festival, for that matter) is not always in the headliners. Highlights of the festival included bands like Jonathan Sexton and the Big Love Choir (who set a World Record for “Most Hugs in 24 Hours” with 8,709 hugs given out this weekend), the emotionally intense sing-alongs of Mumford & Sons, and the good vibes of Michael Franti and Spearhead. The best experience of the weekend occurred during the double-set performed by Oklahoma-based art-rockers The Flaming Lips. After their own explosive set, the Lips called on Stardeath and White Dwarfs to aid the band in resurrecting Pink Floyd’s Dark Side of the Moon in its entirety. The once-in-a-lifetime performance completely overloaded the senses with giant confetti-filled balloons, planet-sized disco balls reflecting multicolored lasers in every direction, and even front-man Wayne Coyne’s entrance in a giant bubble, floating on top of the heads of the audience. 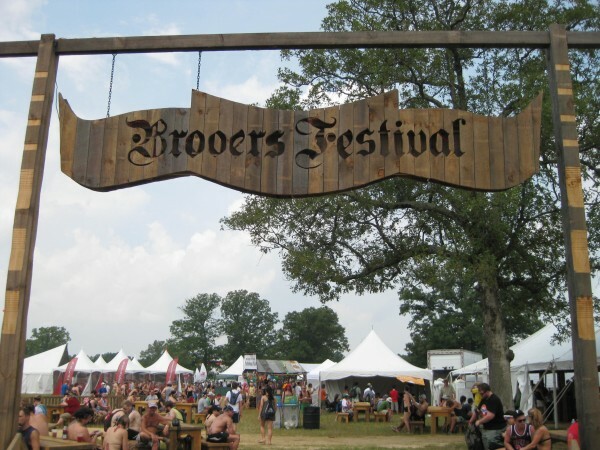 With 20 breweries from all across the United States featured this year, the Broo’ers Festival at Bonnaroo was the biggest it has ever been this year. Breweries featured this year included past Bonnaroo favorites like Anheuser Busch, Shock Top Belgian White, Sierra Nevada, Magic Hat, Sweetwater, Woodchuck Cider, and Starr Hill Brewery. New breweries for 2010 were Abita, Asheville Brewing Company, Blue Grass Brewing Company, Lazy Magnolia, NOLA, Ommegang, Schlafly, Smokey Mountain, Terrapin, Thomas Creek, Brooklyn Brewery, Stone Brewery and Yazoo Brewing Company. Each brewery brought samples of two or three special brews for those in attendance to either taste-test or purchase a pint. One of the most popular brews came from Vermont’s Woodchuck Draft Cider. Woodchuck displayed their most commonly drunk Amber Cider for an extremely refreshing taster under the hot Tennessee sun. An even better choice to quench that all-absorbing thirst was Woodchuck’s Granny Smith Cider. Completely clear in color, Woodchuck Granny Smith is made with only Granny Smith green apples. The cider is so simple and so wonderfully tangy that it tastes exactly like biting into a fresh Granny Smith apple. Another big hit at Bonnaroo was Star Hill’s Jomo Lager, a crisp and light amber lager that smells hoppy but tastes slightly sweet. Jomo Lager was available for purchase at almost all of the beverage tents in Bonnaroo’s Centeroo area. Lazy Magnolia Brewing Company brought with them a delightful selection including Indian Summer Spiced Ale: a light American-style wheat ale spiced with coriander and orange peel. 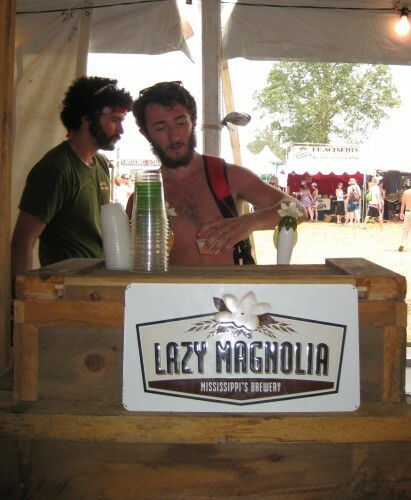 The best brew available by Lazy Magnolia was their Southern Pecan Brown Ale. Southern Pecan is the first beer in the world to be brewed with real roasted pecans and would be pleasing to the palate of any fan of brown ales. A little disappointing, however, was the fact that the flavor of whole roasted pecans does not really come through. For fans of darker beers, Asheville Brewing Company brought with them their award-winning Ninja Porter, a dark and creamy porter that finishes with a chocolate taste and relatively no real dryness. Ninja Porter may not be the best choice for a 100 degree day, but it definitely stands out as an enjoyable beer for any occasion. Educational beer courses were also being offered at The Broo’ers Festival all weekend by Samuel Merritt’s Civilization of Beer. For four days, any Bonnaroo attendee could educate themselves with free classes such as Beer 101, Beer’s History is Prehistoric, Beer Myths and Legends, How to Start Your Own Brewery, and When to Send Your Beer Back (a class to teach the tricks of the trade and educate beer-drinkers on the quality of their brews). That is the true essence of Bonnaroo. Experience is everything. Life is a compilation of experiences, both mental and physical, and Bonnaroo (along with its Broo’ers Festival and hundreds of other attractions) is one experience that nobody should miss out on.